For some time, the Ghaznavids had allowed nomads from the Turkic Oghuz clan to graze cattle on their Central Asian lands. But when the nomads moved down into Khorasan, it came to an armed conflict in which the Ghaznavids were defeated in battle. This was the beginning of the Seljuk Empire. Under the leadership of two brothers, Toghril Beg and Chaghri Beg, the Seljuks soon conquered Khorasan from the Ghaznavids, and Toghril Beg continued into Buyid Iraq and took Baghdad in 1055. 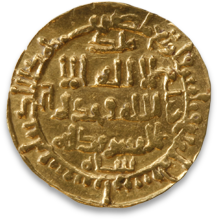 Within a short time, the Seljuk Empire extended from Central Asia to Syria and parts of Anatolia, but in the course of the second half of the 12th century, it already began to fall apart. True to the Turkic-Mongol tradition of inheritance, the territory was divided among members of the family, creating local dynasties. In addition, the unassimilated Oghuz nomads refused to submit to the state and revolted against it. From the northeast, the Khwarazm Shahs finally overran the remains of the realm and killed the last Seljuk sultan in 1194. A number of minor dynasties emerged briefly from the ruins of the Seljuk Empire, until the Mongols once again united the region toward the middle of the 13th century. 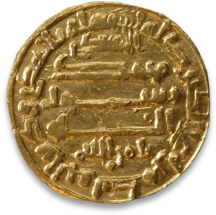 The Seljuk Empire was organized after Persian models, with a state administration of Persian civil servants headed by a vizier. The army was made up of many nationalities, but the commanders were Turks. The religious class had either a Persian or an Arab background. The Sunni Muslims’ religious leader, the caliph, had lived in Baghdad under the dominance of the Shia Muslim Buyids. Now the Seljuks were able to acclaim themselves the power that had reestablished Sunnism in Islam’s heartland. The Seljuks’ own base was in Iran, where the cities of Nishapur, Rayy, and Isfahan were the most important political and cultural centers. The Seljuks promoted the new religious orthodoxy with a grandiose program to build madrasas (Koran schools), which were also intended to counter the influence of their main political opponent, the Shia Muslim Fatimids in Egypt. A number of new artistic techniques and forms of expression were developed under the Seljuks. In ceramics, highly detailed motifs were created in underglaze painting, luster decorations, and polychrome painting (minai). Metal objects were also decorated with fine inlays of silver and gold. Figurative motifs were among those used in Seljuk art. Depictions of men and women are frequent, and their high cheekbones and almond-shaped eyes reflect the Turkic and Mongol ethnic type. Many elements from Seljuk art lived on in Iran long after the Seljuks ceased to be a political factor.